Monday's solar eclipse may last longer than Conor McGregor in the ring against Floyd Mayweather on Saturday, Aug. 26, but if McGregor somehow wins, he could turn out the lights on Las Vegas strip sportsbooks. "All I know is we're less than a week away from making a lot of money or getting [clobbered]," William Hill director of trading Nick Bogdanovich told ESPN over the weekend. A solar eclipse seems common compared to what has transpired this summer with the betting action on Mayweather-McGregor. Even with their combined decades of oddsmaking experience, not a single sportsbook operator I spoke with anticipated the historic one-sided betting action they've seen on the fight. "I never dreamed in a million years that it would create this kind of frenzy," Bogdanovich said. 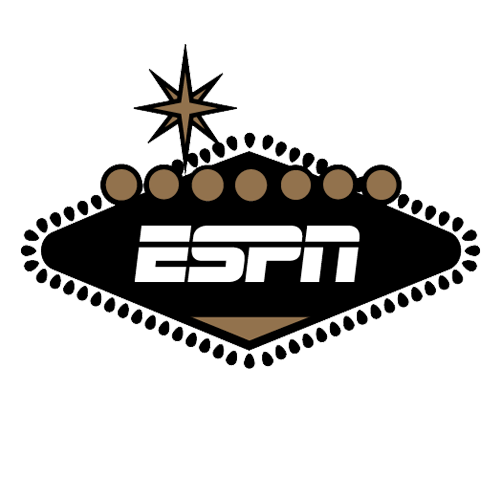 "I'm taking bets on this fight from guys that I've never seen before," Wynn sportsbook director John Avello told ESPN. The Westgate Las Vegas Superbook first posted Mayweather as a -2500 favorite (and McGregor a +1100 underdog) in a hypothetical bout back on Feb. 16. Since the fight became official on June 14, sportsbooks have witnessed mind-boggling handle, driving the consensus price to Mayweather -475 (McGregor +375). And bettors remain undeterred across town, with approximately 16 of 17 tickets placed on the underdog with sizable payouts. Given the wide margin between a favorite and an underdog, sportsbooks typically can guarantee a profit on any outcome of a wager. However, one property stands to lose nearly $3 million if McGregor pulls off the upset. Similar exposure exists throughout Nevada, and the offshore markets are even lower. "This is like hanging -3 on the Super Bowl and seeing the line move to -8," Jay Rood, vice president of MGM Resorts race and sports, told ESPN, revealing his company's current ticket ratio of 25-1. Last month it was 50-1. "This could be the worst loss in the history of MGM Resorts." Oddsmakers must now decide how they want to administer their liability while also predicting the betting behavior over these final few days. "Ultimately, we want to be in a position where we win a significant amount on Mayweather, but we don't want to be destroyed if McGregor wins," John Murray, a manager and oddsmaker at the Las Vegas Westgate Superbook, said. "We don't want this fight to cost us our whole year." In order to determine this appetite for risk and liability, some sportsbook operators have consulted executives and corporate offices for approval. Those are difficult conversations with a boss, given the unique matchup and unpredictability of the masses expected this weekend. "It's a giant unknown," Avello said. "It's like posting a point spread for the best college football team against the worst NFL team. It's just so difficult to compare and then also to gauge the bettors' reaction." So what should oddsmakers do? Allow the public to continue betting an inefficient line, or protect themselves from a bloodbath and limit what they see as an easy payday? "If there were no market already established, I would've opened Mayweather at 100-1," Bogdanovich said. "As we know, anything can happen," Vaccaro said. "But truthfully, this thing should be 50-1. To me, it's absurd." Vaccaro just may be the de facto expert. Not only does the Vegas veteran have four decades of bookmaking experience, but he is the only known oddsmaker in the entire world to have posted a line for Buster Douglas' upset of Mike Tyson in 1990, which closed at Tyson -4200. However, that experience provides zero clarity for the coming days. "Your opinion is as good as mine. No one knows." The Nevada handle figures to intensify and possibly double boxing's record of $50 million from 2015 between Mayweather and Manny Pacquiao. The constant flow of McGregor money will keep coming this week, but Mayweather backers have been patiently waiting for an optimal strike price. "Sharps are waiting to hit the Mayweather line when it bottoms out," professional bettor and Yale economics major Rufus Peabody said. "There will be a lot of big-money bets on Mayweather. The question is how much of that will offset the public bets on McGregor." It is that simple. Uninformed tourists seek a giant payday on McGregor. Oddsmakers and professional bettors see huge value in the best fighter of a generation, undefeated at 49-0, facing a guy who has never boxed professionally. "The question is the Floyd money. We just don't know if it will happen in the next few minutes or late on Saturday," Murray said. "We don't want to move the price too much to force Mayweather action. The last thing we want is to need McGregor." To date, Vaccaro has taken the largest reported wager, and it came from well-known Las Vegas residents. The three Maloof brothers (Gavin, George and Joe) risked $880,000 on Mayweather -550 to win $160,000. "The price kept coming down, and then it was just too good to pass up," Mayweather neighbor Gavin Maloof told ESPN. He and his siblings vow to donate the winnings to charities in Las Vegas and Los Angeles. Ironically, ESPN spoke to Maloof while he was watching the solar eclipse in Montana. You can't make this stuff up, much like what has transpired this entire summer.